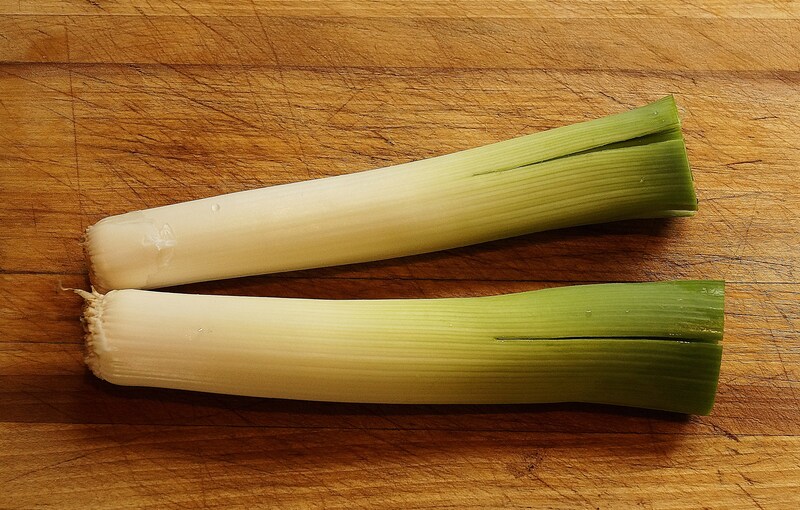 But I am drifting here, drifting away from my leeks. 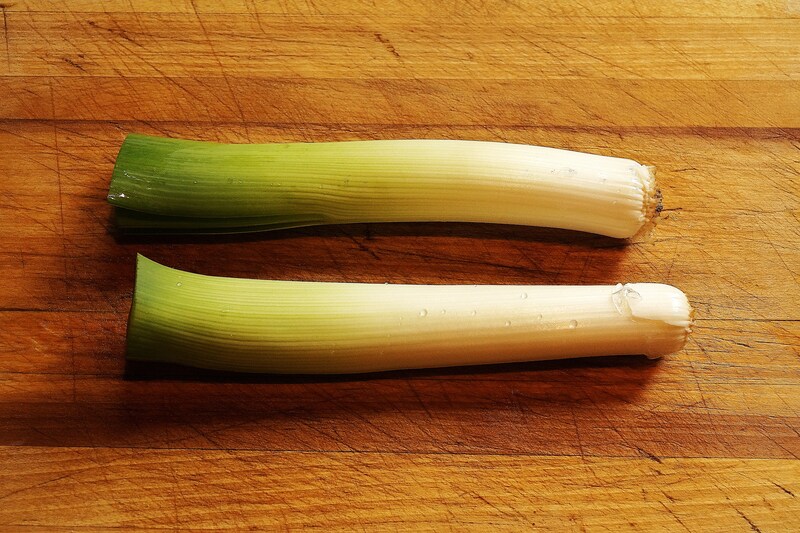 I got two beautiful ones from my neighbour on Saturday, pungent, full of dirt, real like. 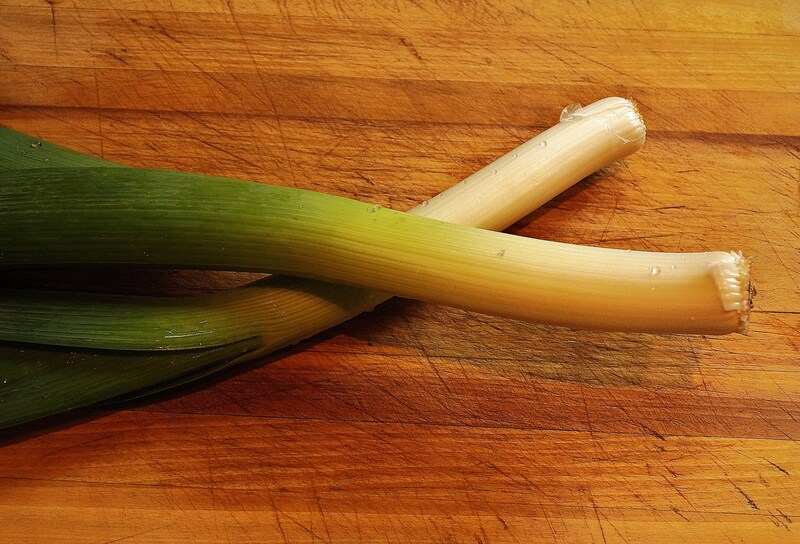 I could have done a leek and potato soup, Ireland’s favourite but it was a bit too warm outside. 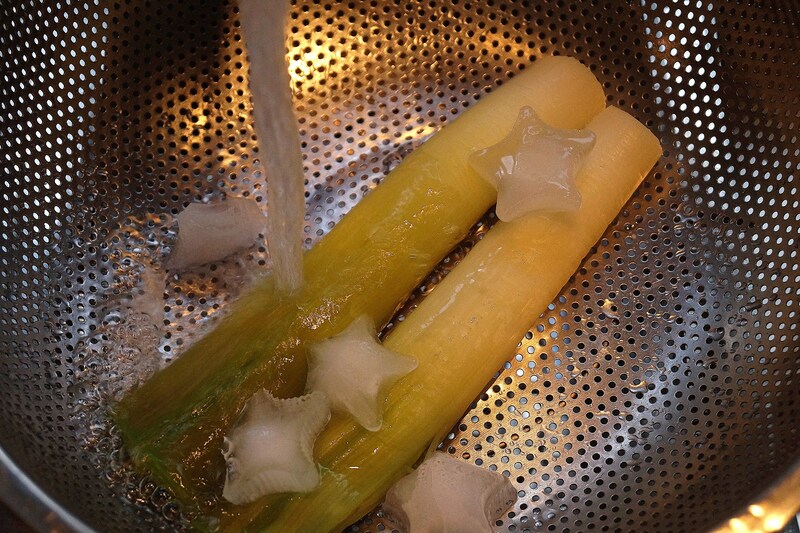 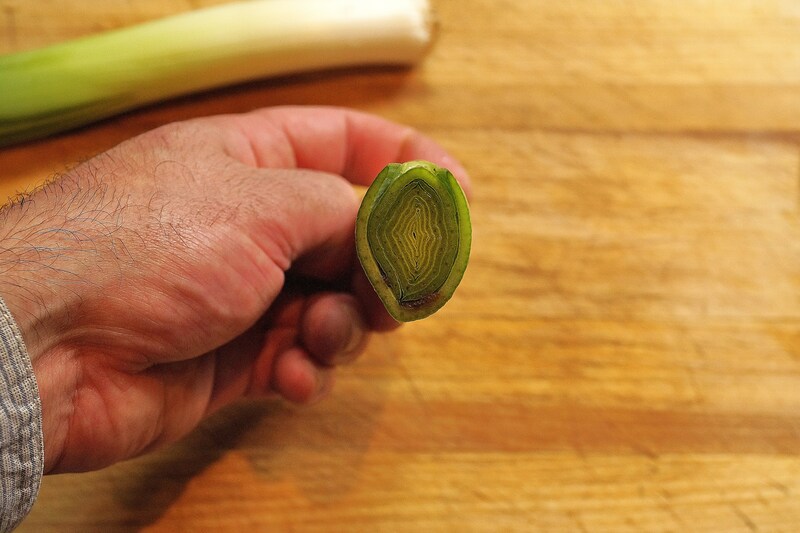 I normally “melt” small slices with butter, called leek fondue, amazing with a bit of fish. 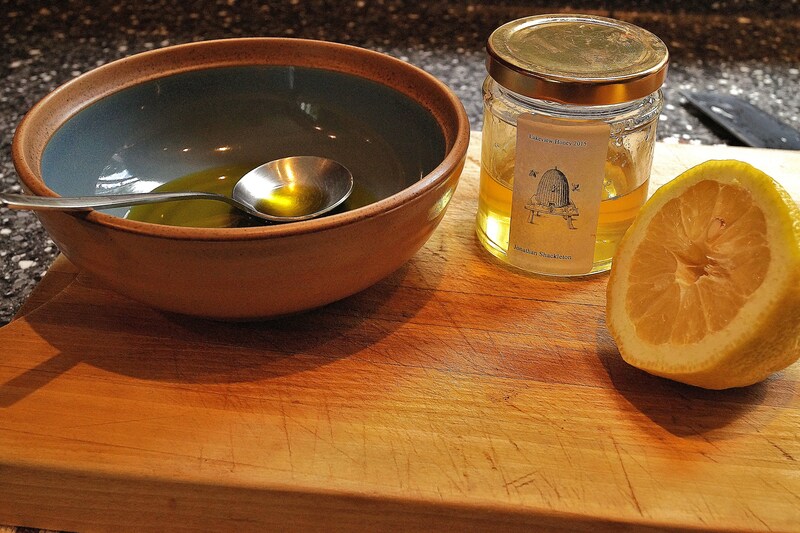 But the fishmonger is always closed on a Monday. 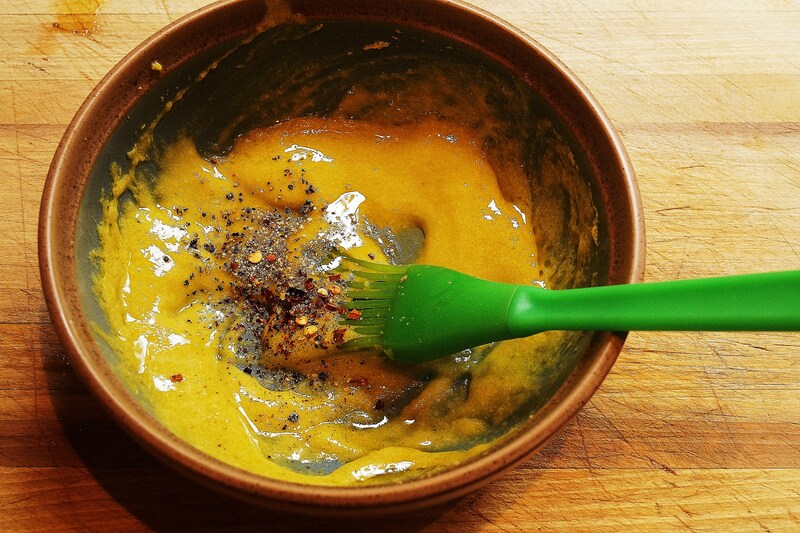 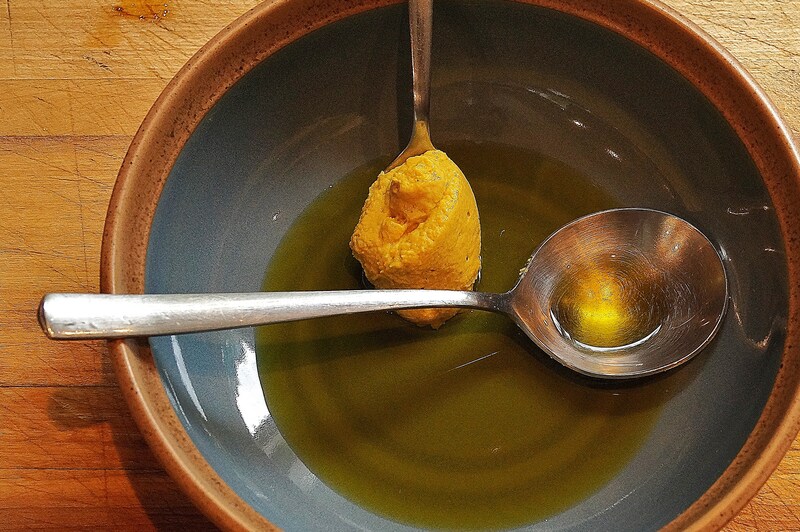 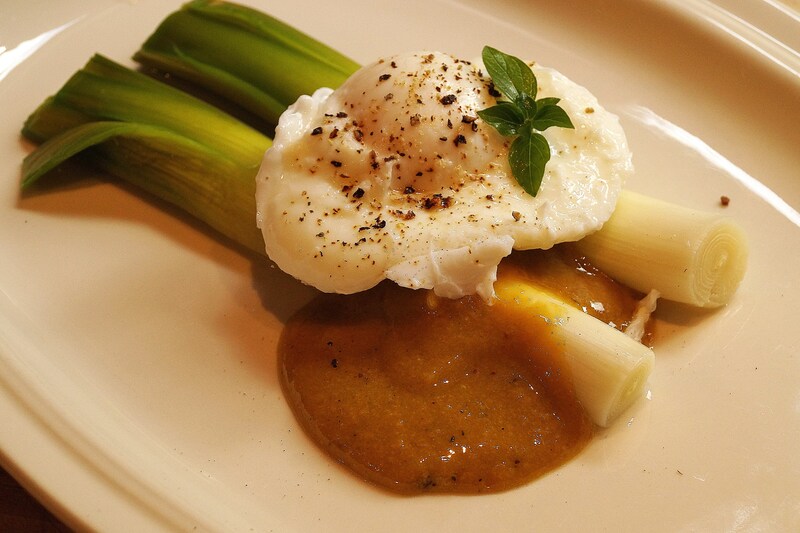 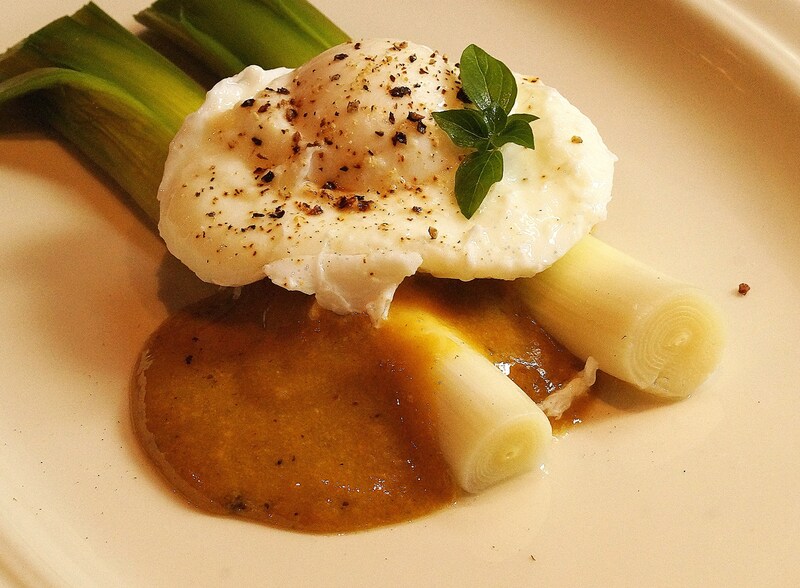 So I opted for an old French classic, Leek vinaigrette, with a more modern twist and this is how it went. 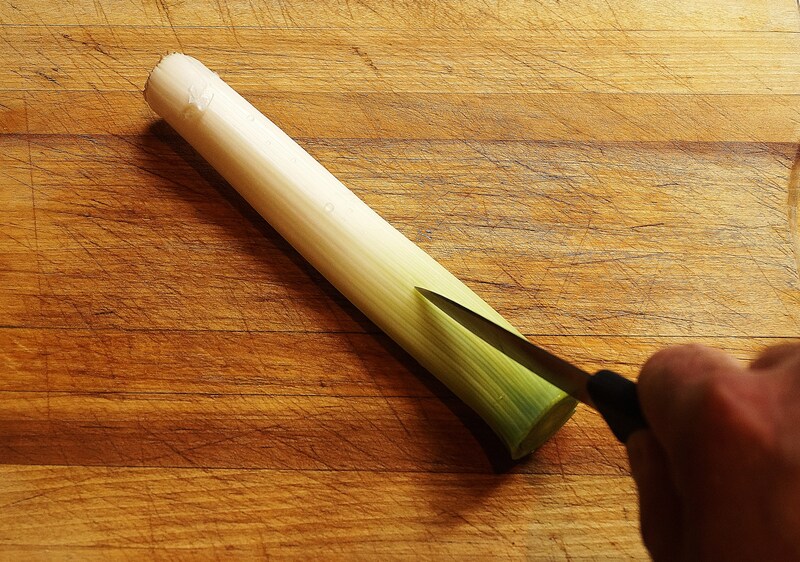 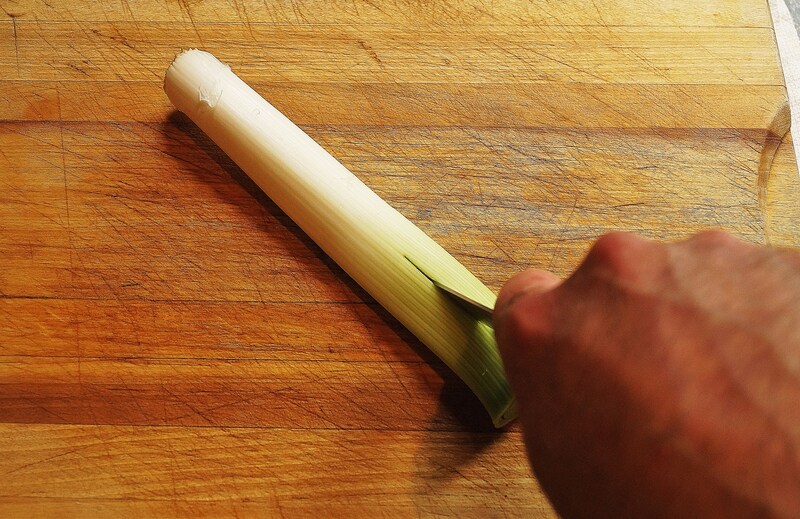 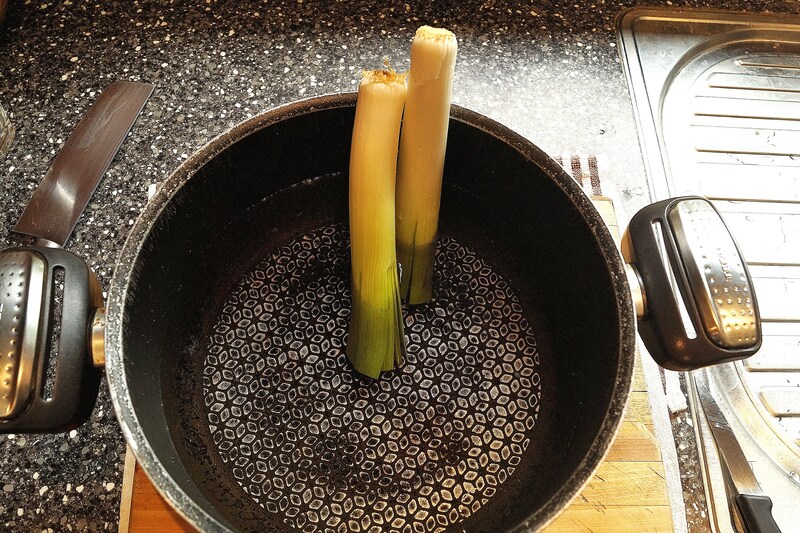 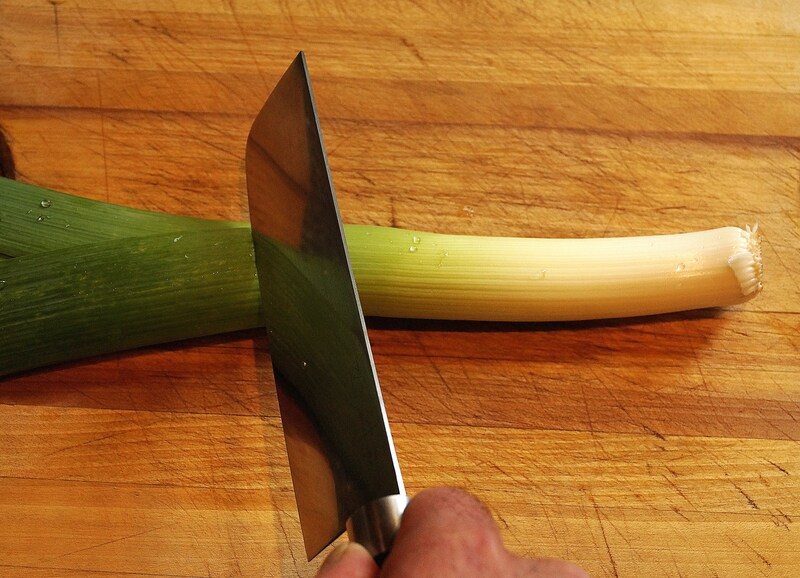 First get two nice leeks, wash them well and cut them above the darker green, as that part is quite tough… Just like this. 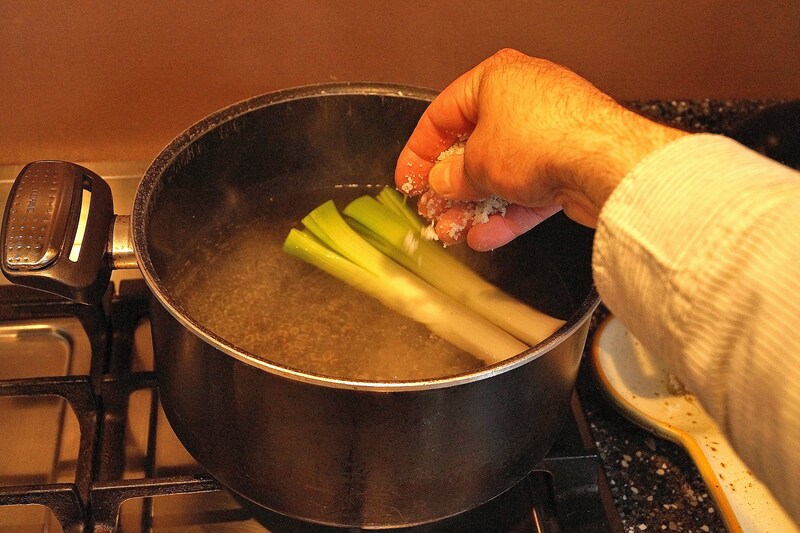 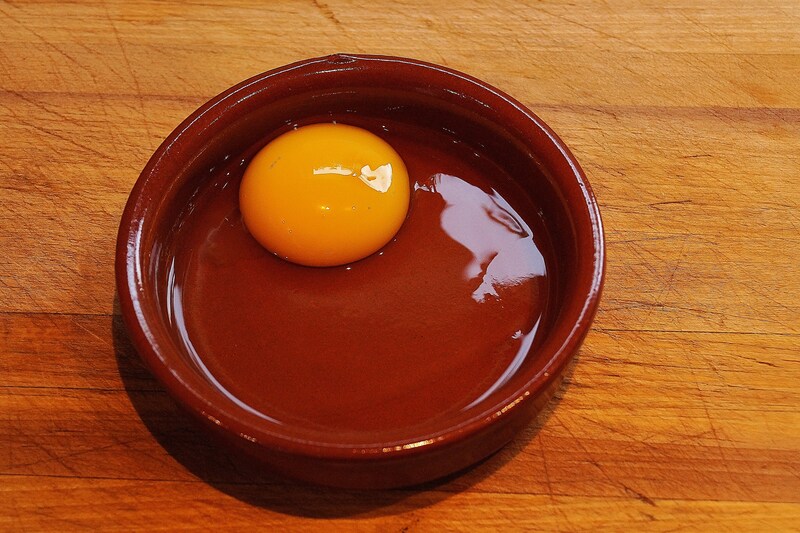 After three minutes of simmering, I think you are pretty much ready; lift the egg into a bowl of cold water and then lay it on a kitchen towel. 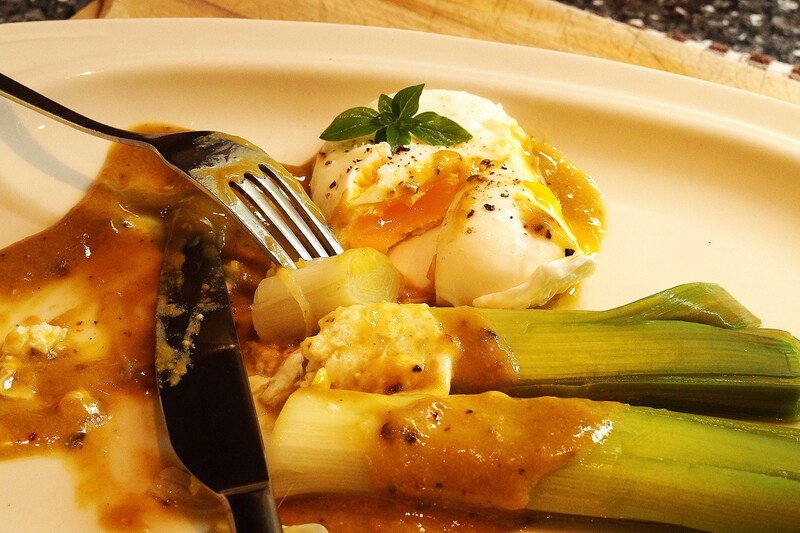 Place the leeks on the plate, a generous dollop of the thick vinaigrette and lay the egg on top… I used a bit of fresh oregano from the garden for an extra bit of drama, you know, in case you were wondering!